Preaching, Pickin' and Singing about the Kingdom of God and 1,000 years of futuristic peace on the earth. 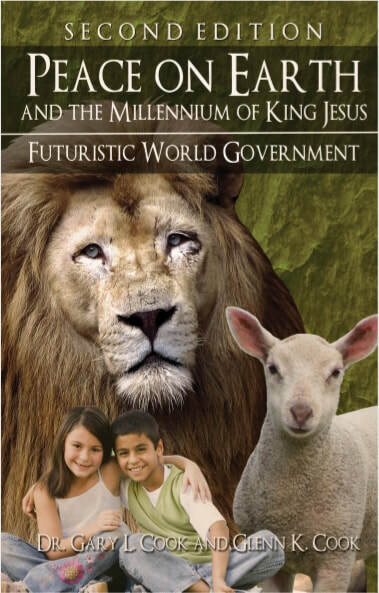 What will you learn if you read the book or listen to the audio of Peace on Earth: Millennium of King Jesus, Futuristic World Government? The writer's research will transport you from the biblical Book of Genesis through the Book of Revelation and give you one of the greatest overviews ever of God's dispensational plan to have His "will be done on Earth as it is in Heaven." - Matthew, chapter 6. 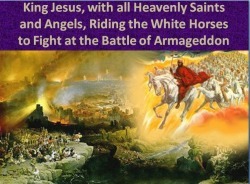 Readers will learn how King Jesus will defeat the Antichrist and False Prophet; then, establish or build His Temple about 15 miles north of the present day Jerusalem. King Jesus will rule all of the nations on the earth for 1,000 years and there will be a perfectly peaceful environment in all of the nations on the earth -- Good News! Read the Bible references, detail-by-detail, of how King Jesus will restore Israel as a nation; dry up the seven streams of the Nile River in Egypt; construct a literal Highway of Holiness from Egypt, to Israel, and onward into Syria. Soon, all of these nations will soon be friends. Read about numerous Bible details, which are provided and simply provided to readers -- about God's glorious kingdom, which will come to the earth. To God be all praise, glory, and honor. King Jesus is alive and well. He'll be back soon to reign as King of kings over all world nations.